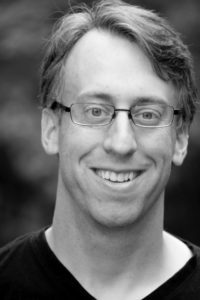 Today’s interview is with indie author Steven K. Smith. 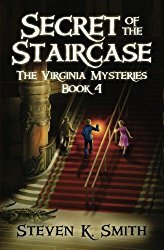 Steven K. Smith is the author of the middle-grade series The Virginia Mysteries. 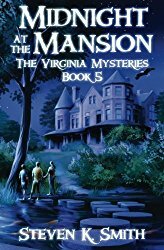 Currently at five books, it combines modern-day fictional adventures with historical locations and figures like St. John’s Church, Belle Isle, Maymont, Patrick Henry, Robert E. Lee, Lewis Ginter, and many others. 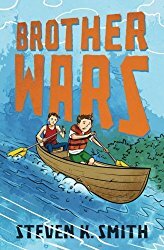 His other works include the middle-grade comedy Brother Wars, the parenting memoir Splashing in the Deep End, and the adult contemporary fiction novel Harborwood (written as Steven Sawyer). 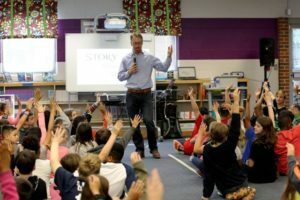 Over the past two years, Steven has visited more than 50 elementary schools in central Virginia. 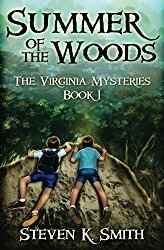 His first book, Summer of the Woods, is in development for film. 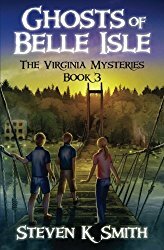 Steve’s mystery/adventure books incorporate the local history of Virginia where the books are based, making them popular at local schools and in other schools across the US. Using the power of traditional media (newspaper or local newsletters) to gain the attention of local schools and influencers. Start with your niche target market whether it’s your location or sub category of book topic to penetrate your market. As you build your local or niche market it starts to grow and expand. Rebranding covers once you have a few books in a series to appeal to a wider audience and have professional looking books. Chipping away at little things locally, like approaching local bookstores or other places where your book may fit – it all begins to snowball to create synergy. Aim to get a Bookbub feature as a way to market and broaden your audience even if it feels like you’re sacrificing income initially. It gives books a great spike to help your books’ discoverability. Writing and releasing a new book also incrementally grows the success and saleability of the previous books. 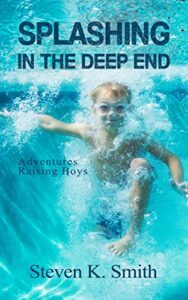 Institutionalizing a series rather than concentrating on one reader or fan: get your book/s into gift shops, Barnes and Noble stores and especially on school reading lists and libraries. This ensures your book stays around even as new children cycle through. This is a long term goal but one worth pursuing. Do initial outreach via email with a pdf which includes covers of the books, what they are about and information about yourself, the author. Then find the email addresses and create a spreadsheet with contact details of librarians and schools sending your package out as an introduction and/or to arrange school visits. Pitching school visits: In Steve’s case he highlights the history included in his books as a draw card, but choose what you think is relevant about your books to the school environment and communicate this value to the schools you contact. Make sure you get social proof when you visit schools – get testimonials from parents, teachers, librarians, and get some photos of yourself while speaking. Capitalize on the general appeal that local authors have in their area. Schools do appreciate local author visits. 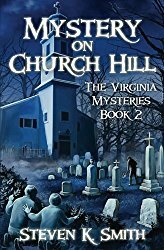 Series do sell better than stand alone books in general. How to balance your time writing new books versus getting out and about promoting and marketing your backlist. Providing your books in as many forms as possible including paperback, hardback, ebook and audio books. Creating supplemental materials to go along with your books. Getting your books in the Accelerated Reader Program. How do you know when it’s time to go full-time as a writer/author? You can find Steven online at www.VirginiaMysteries.com, follow him on AMAZON, and get social with him on Facebook and Twitter.